THOSE OF YOU who follow the world of Rock Candy would have noticed that we have never issued material from a new artist. Indeed, our speciality is primarily to shine a spotlight on reissues – records that we feel, in one way or another, were vastly overlooked at the time or are of such a high quality that they needed to be re-examined and brought back into focus, buffed-up and given a truly five star re-appraisal. Of course, like every label, we do get many hopefuls brandishing new music but, sad to say, the content is often not quite right for us. 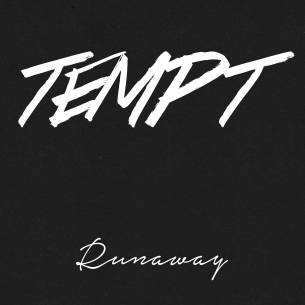 That we are pleased to report is not the case with New York based outfit Tempt. You may have seen them mentioned on various websites and in magazines over the last year – mainly praising a highly regarded self financed EP and a smattering of live shows. The EP showcased a young, but thoroughly contemporary, band playing a style of music that evoked memories of the great melodic hard rock bands of the past. It was a heart warming experience as the delivery, arrangements and attack suggested an allegiance to acts like Foofighters, Audioslave and Alterbridge, yet the musicianship and spirit bring to mind classic Van Halen, Aerosmith and Def Leppard. The band has gone on to craft a truly spellbinding debut album; one that confronts the listener with a blast of the present but suggests a comforting whiff of the past. Crucially, all the elements are in place, from great vocals (courtesy of Zach Allen), incredible guitar playing (by Harrison Marcello ) and brilliantly crafted songs with enough twists and turns to not only satisfy the musically inclined but also to appeal to folk who just wanna rock.